NIAMEY , May 20 2013 (IPS) - A decade ago, less than a third of school-aged girls in Niger were in class. Today, though significant cultural and religious opposition remains, nearly two-thirds of girls are enrolled in school. “Back in 2003, we had only 15 girls at my school, out of 150 students. Now, we have 103 girls out of a total of 175 students,” said Ibrahim Sani, who has taught for 17 years in the town of Agadez, in the northern part of this West African country. This story is repeated in other parts of the country. Salouhou Adou teaches in a village on the outskirts of Tahoua, the capital of the central region with the same name: “When I came to Kollama in 2003, there were only 29 girls out of 113 students. Today, the number of girls has tripled, to 87 out of 137 students,” he told IPS. The rate of enrolment for girls in Tahoua has more than doubled, from 21 percent in 2001 to 45 percent in 2011, according to the regional directorate for primary education. 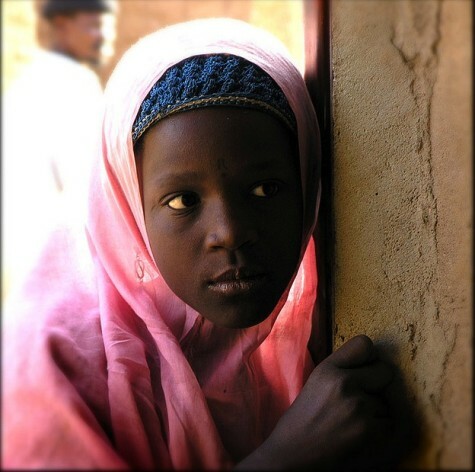 Between 2001 and 2011, Niger’s overall rate of enrolment for girls rose from 29 to 63 percent, according to the Ministry of Education. The dramatic improvement is thanks to the combined efforts of administrative and traditional authorities, teachers, parents and civil society to raise popular awareness of the importance of giving girls an education. “Our intervention has meant the gender imbalance in terms of school registration in our area has been reduced,” said Hadiza Moussa, a teacher in Téssaoua, in the south of the country where official statistics also show the enrolment of girls rising: girls made up 45 percent of students in 2012, compared to just 21 percent in 2001. Weddings and baptism ceremonies are two occasions often used by campaigners to raise awareness of girls’ education. But some ordinary citizens have taken up the cause on their own. “I have gone door to door to talk to families who were against education for their daughters,” Maman Zakari, a trader in his sixties in the town of Maradi, in the south of the country, told IPS. “I myself was against enrolling girls in school in the past. But I came to understand the importance of education for girls through public awareness campaigns and radio programmes.” He has enrolled two of his five daughters. The United Nations Children’s Fund (UNICEF) is also supporting various incentives. Despite the growth in enrolment of girls, there is still a large gap in school attendance between girls and boys. Between 2001 and 2011, enrolment for boys rose from 36 to 86 percent. This gap is explained by the fact that in rural areas, many families don’t send their girls to school because of social and cultural beliefs. “There are many parents who think that school is a destabilising factor for girls. For them, a girl’s destiny is to become a good wife to her husband and a good mother for her children,” retired school inspector Aboubabcar Amadou told IPS. In both urban and rural areas, parents frequently withdraw their daughters from school to marry them off. “Even in families where the girls go to school, parents are more interested in boys’ education. Fetching water, doing laundry and cooking are still the daily lot of young girls,” said Nana Hadiza, a member of a cluster of civil society organisations working for universal access to education. The campaign faced a setback in November 2012, when a draft law intended to keep young girls in school ran into strong opposition from the ulamas – Muslim clerics – and associations of Muslim women. These groups put pressure on legislators not to pass the law, instead sending it back for review. The bone of contention was Article 14 of the draft law which stipulated that anyone agreeing to the marriage of a young girl in school without prior approval from a judge, would be liable to a prison sentence of between six months and two years, a fine of 500,000 to 1,000,000 CFA francs (between 1,000 and 2,000 dollars), or both. According to the Muslim associations, this is not acceptable in a country like Niger where around 99 percent of the population is Muslim. “Islam grants parents all rights and authority over their children. A father does not need a judge’s permission to give away his daughter in marriage,” said Malam Abdou Garba, a preacher in Niamey, the Nigerien capital. “The draft law needs to be modified, to remove everything that is not in line with Islam. These articles could lead young girls to insubordination and disobedience towards their parents, and it could also lead many parents to refuse to enrol their daughters in school,” Mamane Sani, from the Nigerien Association for the Defence of Human Rights, told IPS.